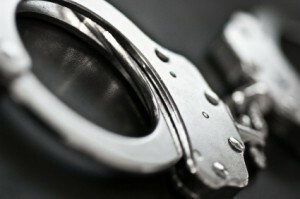 Officers from the Santa Monica Police Department recently arrested a 22-year-old homeless man in connection with an alleged burglary spree. As reported by The Santa Monica Mirror, the man was arrested for the burglary of eight vehicles in the North of Montana neighborhood in Santa Monica. Reports indicate that a resident witnessed a car burglary in progress in the early morning and called police, providing a description of the suspect. While talking to police, the suspect was allegedly seen trying to break into another vehicle. Police arrived in the area as the suspect was seen leaving the area. After two hours of searching, officers found the man and arrested him. Detectives determined that eight vehicles in the area had been burglarized and all property that had been allegedly taken was recovered. The man was charged with burglary; probation violation; vehicle tampering; and resisting, obstructing, or delaying officers. His bail was set at $20,000. Burglary is separated into first and second degree crimes. According to California Penal Code Section 460, first degree crimes, which involved an inhabited house, vessel, trailer coach, or other building, are punishable by two, four, or six years in prison. Every other form of burglary is second degree and punishable by up to one year in county jail. Being charged with any sort of theft crime can result in serious future repercussions upon conviction. If you or a loved one has been accused of a crime, do not wait to begin developing a well-rounded defense to preserve your rights. Contact Santa Monica criminal defense lawyer Joseph H. Low IV by calling (888) 454-5569 to learn more about your legal options and the charges you face.